Very clean and located very good. Owners are nice and responsive to requests. Bathroom was large and comfortable. The name of the location is very accurate. The apartment is, indeed, cozy. Very spacious, big windows, very clean, well equipped and very comfortable. The host provides towels and toiletries. The kitchen is full equipped. The location if very good and safe, the area is quiet and clean and close to the city center. We were a group of 5 and we all have been very happy about the services provided. We strongly recommend! Thank you and congratulations, Mihaela! Check-in și check-out foarte flexibil. Când am specificat ca as vrea factura, pana la plecare am primit și factura. The apartment is very comfortable and quite big. We were there in winter and the apartment was well-heated and very cosy. Picking up the keys was very easy and the whole stay was great. A parking place was available for us in front of the flat. The decoration and the comfort. The most amazing part, the dining room. The host cares about you and makes everything smooth that you just enjoy the time being there. Great apartment, very clean and comfortable. 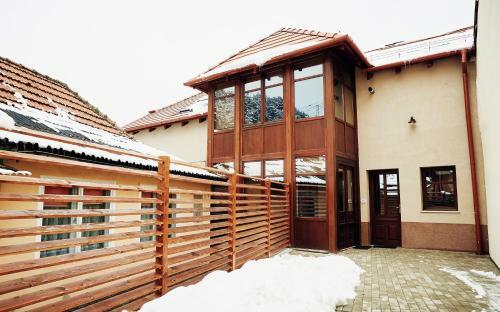 Good location, Piata Sfatului is within 10 minutes relaxed walk. Bus station is nearby. The fit and finish, the interior design and the fact that is quite close to the center of Brasov. 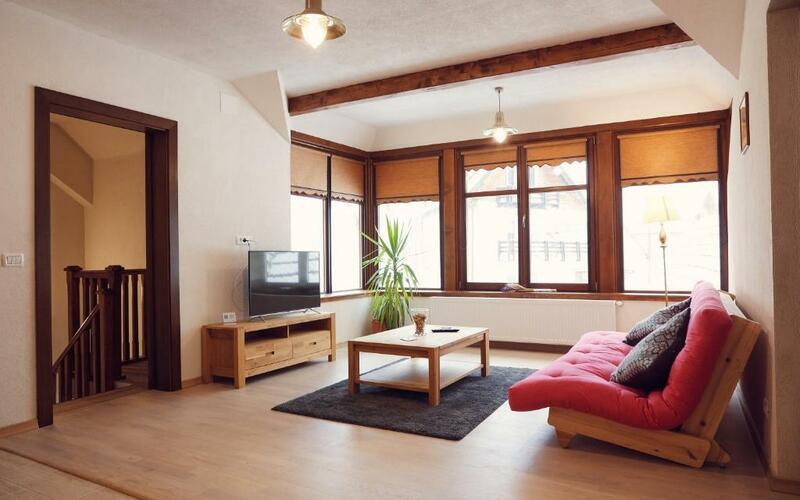 Lock in a great price for Cozy Apartment – rated 9.6 by recent guests! Located in Braşov, Cozy Apartment has accommodations with free WiFi, seating area and flat-screen TV. 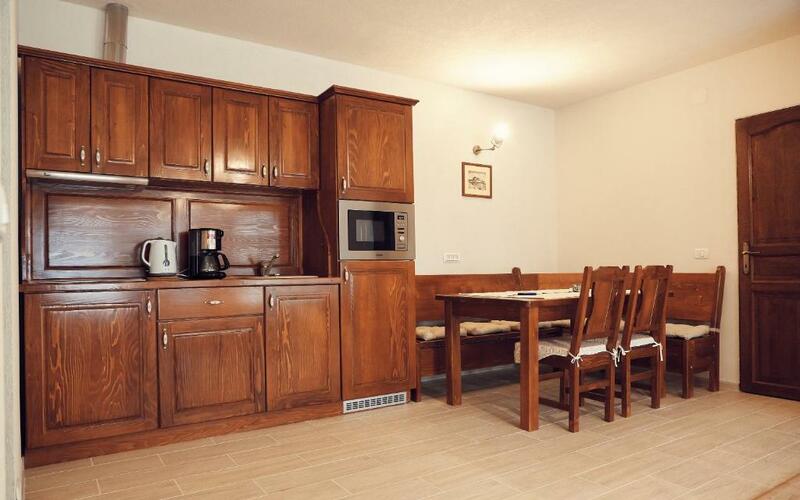 The air-conditioned units have a fully equipped kitchen with dining area, a microwave, coffee machine, and a fridge. A terrace with mountain views is offered in every unit. Strada Sforii is a 13-minute walk from the apartment, while Council Square is 0.9 miles away. 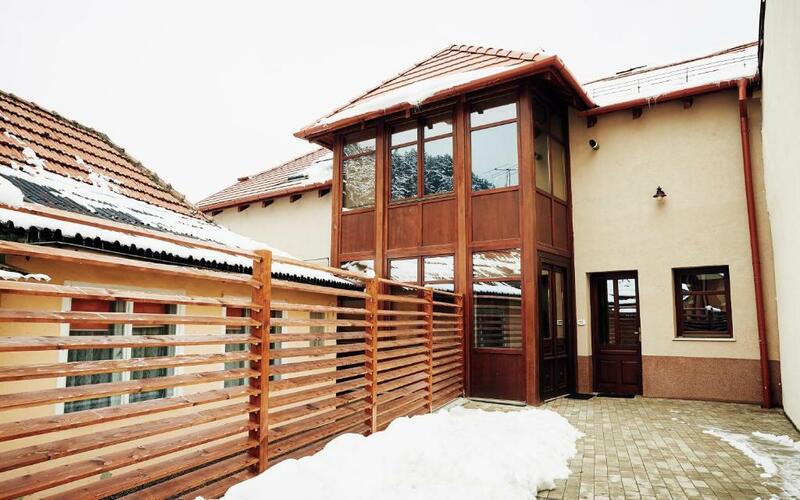 This property is also rated for the best value in Braşov! Guests are getting more for their money when compared to other properties in this city. 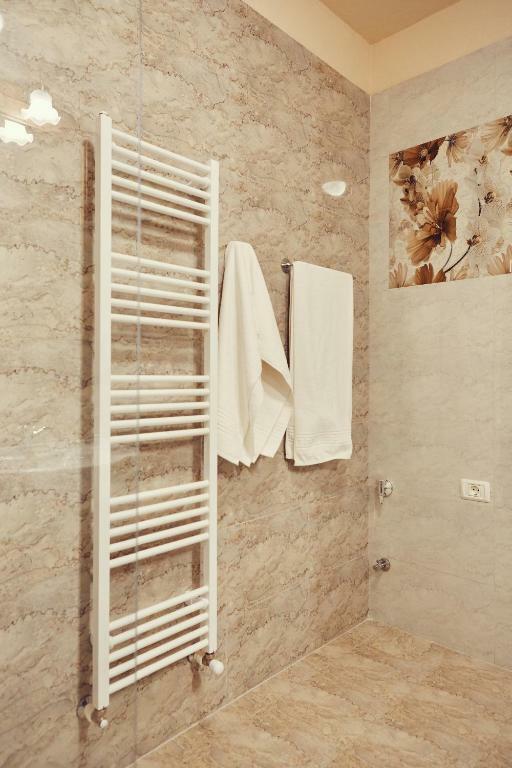 뀐 Located in the top-rated area in Braşov, this property has an excellent location score of 9.6! When would you like to stay at Cozy Apartment? 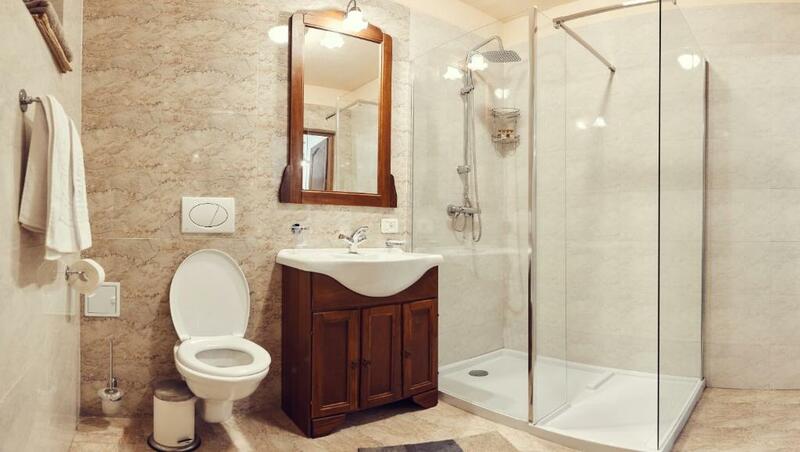 This apartment features a kitchenware, tile/marble floor and soundproofing. Apartamentul Cozy pus in functiune in Ianuarie 2018 in urma unui proiect de reconstructie a unei vechi case datand din anul 1920. 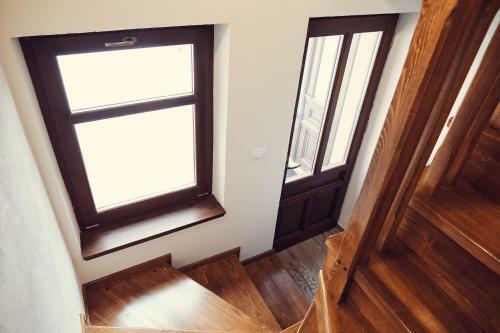 Apartamentul pastreaza in totalitate stilul arhitectural al caselor vechi construite in Scheiul Brasovului dar beneficiaza de o dotare moderna, confort si liniste ideale pentru un sejur relaxant. Apartamentul Cozy este situat in centrul vechi o zona extrem de linistita a orasului Brasov, foarte aproape de padure. Datorita acestui fapt oaspetii nostrii pot face drumetii, putand ajunge pe jos in Poiana Brasov - pe drumul vechi in circa o ora. Plimbari mai scurte se pot face pana la Pietrele lui Solomon sau pe aleea de Sub Tampa. In apropierea apartamentului se gasesc doua biserici ortodoxe - monumente istorice, precum si muzeul prima scoala romaneaca (circa 10 min - mers pe jos). La 100 de m de apartament se afla o statie de autobuz, ce face legatura cu orice punct important al orasului. Se poate ajunge pe jos in Piata Sfatului in circa 15 minute in plimbare (doua statii de autobuz), aici turistii gasesc multe restaurante, bistrouri, baruri, magazine, muzee, biserici. House Rules Cozy Apartment takes special requests – add in the next step! Please inform Cozy Apartment of your expected arrival time in advance. You can use the Special Requests box when booking, or contact the property directly using the contact details in your confirmation. The apartment is a bit on the hilly side of the city (but still quite close to the city center) so you might need to take an uber if you are not up for walking up the streets. I honestly have nothing bad to say about my experience at Cozy Apartments. Incredible hard to receive an invoice for the service (still haven't received it at this point). Poor customer service. The window blinds and the electric iron are in need of some attention. The apartment needs some place to iron your clothes, if required. The kitchen is in a lower floor, which is not very convenient. The host was extremely nice and cooperative. Gave us wonderful tips and was very patient. Access from car with all the lagage was easy. The apartment is clean, bads are comfortable,good shower. Would have liked something extra in the kitchen, towels to dry your hands and cutlery needs review?? 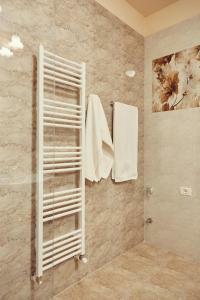 The apartment is very nice, located in a quiet and nice area at about 15 min away from the city center. 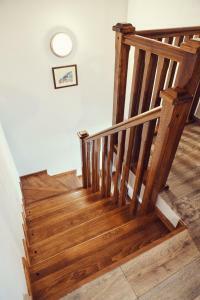 Very spacious and nice renovated in a new-old style. Another good thing is the free parking space in front of the house. The check-in/check -out process was very easy and the host was helpful and nice. We definitely recommend this accommodation.